The average age for retirement fluctuates over time, but generally remains between 63 and 66 years of age. Coincidentally, this is also the age when you start being considered a “senior.” Seniors today are more active and engaged than ever before. Seniors today represent about 16% of the nation’s population. In the next decade, that jumps to 20%. It’s no secret that our family, friends, and neighbors are living longer. This makes dental care for seniors that much more important! If we’re living longer, let’s also keep our teeth longer, too! To do that, you’ll need to get informed on dental benefits after retirement. One key to a happy retirement is a healthy retirement! Who wants to take a permanent vacation only to visit the doctor every week? 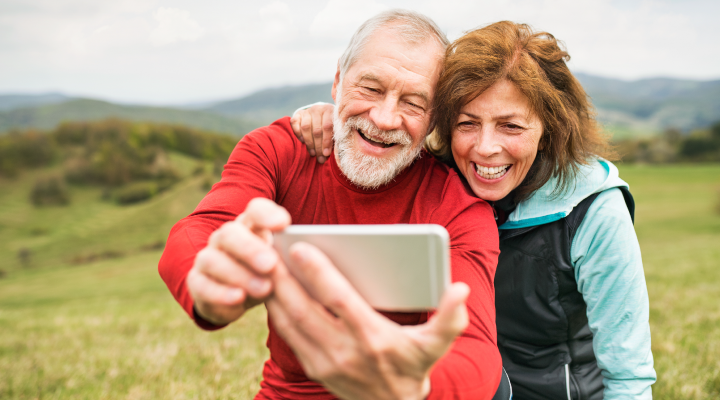 Since employer-sponsored dental benefits come to an end when you retire from your job, seniors have good reason to brush up on benefits after retirement. Seniors often take a variety of medications that can cause dry mouth. A dry mouth isn’t as harmless as you may think. It can lead to rapid tooth decay, gum disease, and tooth loss. Your gums, cheek lining, and tongue are impacted by a dry mouth, as well. If dry mouth is a concern for you, ask your dentist to recommend solutions like moisturizing mouth rinses. They can help improve the pH level for a more comfortable mouth. Be sure the pH of the dry mouth solution is a 6.7 or higher. Some solutions have been found to have a harmful, acidic nature.